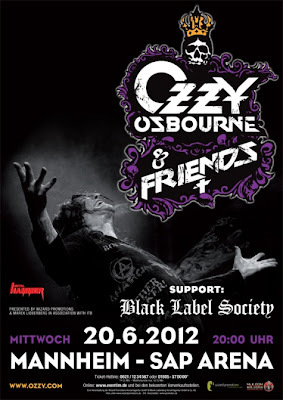 TMZ reports the singer pulled out of the Ozzy Osbourne & Friends show at the SAP Arena at the last minute. The concert is one of the several that were scheduled as make-up dates when the Black Sabbath reunion tour was canceled. Sources on site tell TMZ that Ozzy was supposed to take the stage after Black Label Society finished their set. But instead, the crowd was advised that Osbourne would be unable to perform due to a medical condition. Ozzy's rep tells TMZ the rock legend's overall health is OK and he merely decided to cancel the show due to issues with his voice. Concertgoers have been instructed to check the venue's official website to see if Ozzy will reschedule or simply issue a refund.